Pinnacle Training & Consulting Systems (PTCS) is a continuing education company for personal trainers. It was founded with a mission to offer dynamic continuing educational learning courses. 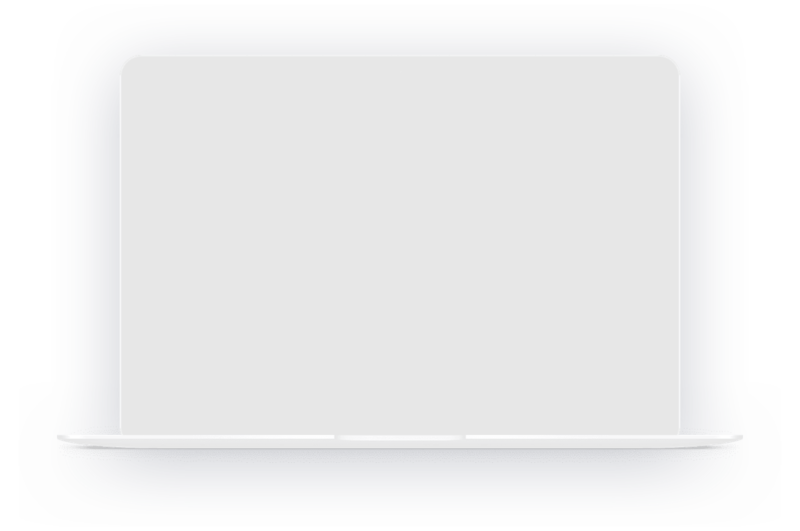 The company provides home study courses, live seminars, videos, articles and e-learning programs. Continuing education program for professional trainers is a competitive space. PTCS had already done the grunt work by creating all the study material needed. They were half way through but without an assessment practice in place, the program didn't make sense. PTCS approached us to help them out with their e-assessment solution, after they had gone through numerous ready-to-go solutions. But none of them had matched their vision of being one of the best in the industry. 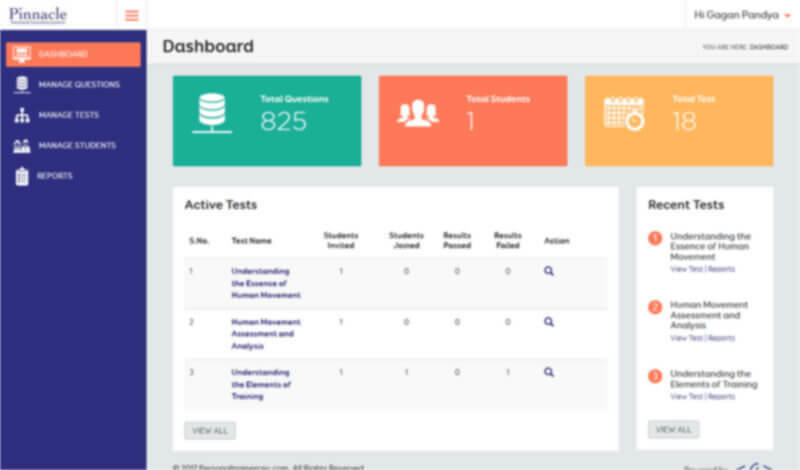 PTCS was looking for a testing platform that was intuitive for the professional trainers, with extensive & flexible reporting of the assessments at the admin end. After researching the LMS market, PTCS’s focus changed from finding a standalone LMS platform to the one which could integrate with their portal. It eventually found Examination Online, which could install a version of its LMS on PTCS’s server. Having installed the assessment platform, PTCS began using it to assess all its trainees. The solution gave the flexibility to set up an individualized testing solution to ensure that each user receives exactly the tests s/he needs. 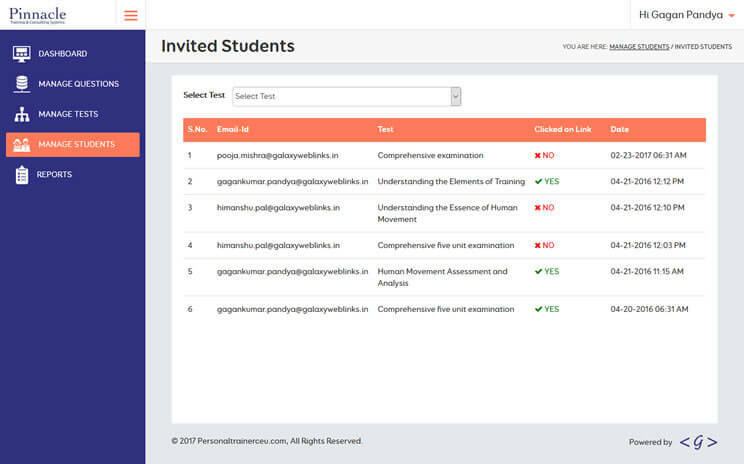 The examiner could manage students and test related records so that the solution meets training requirements precisely. The timed tests and reattempts made sure that learning and course application gets optimized. The reporting system allowed test takers and examiner to analyze test performance and identify areas for improvement. The launch of Examination Online assessment solution for PTCS brought a remarkable change in its continuing education programs. The solution complemented aptly with home study courses to be one of the best courses that can be pursued by personal trainers. The platform enabled test-takers to register for courses, take exams and get certified, all from the comfort of their home. The assessment solution enhanced operational efficiency while reducing the cost of managing it. The user-friendly platform has let PTCS reach larger audience and offer tests along with certification.